Lance Armstrong has confessed to using performance-enhancing drugs in an interview with Oprah Winfrey taped Monday, marking the end of a decade of denial by the cyclist. A 7-time Tour De France winner, Lance Armstrong was banned from cycling for life in October of 2012 by the U.S. Anti-Doping Agency. Armstrong had previously denied any doping allegations, but recently decided to sit down with Oprah for a ‘tell-all’ interview. ABC News has reported that Armstrong confessed his drug use during the interview. The interview, according to Oprah, lasted 2 hours and 30 minutes and was described as very “emotional”, though Oprah said Lance Armstrong was “forthcoming” about his drug use during his dominant run in cycling. “I think he was just, ready. I think the velocity of everything that’s come at him in the past several months and the past several weeks, he was just ready,” she said. According to CBS News, Winfrey met first met with Armstrong at a secret lunch in Hawaii. Armstrong had previously denied the interview request, but changed his mind upon meeting with Oprah. Before the interview, Lance Armstrong visited his LiveStrong Foundation and spoke to about 100 staffers. It’s unknown whether he confessed his drug use to his staffers, but he did apologize at length to them, according to ABC sources familiar with the situation. 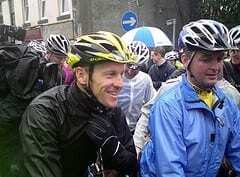 Armstrong has said he wishes to return to sports at some point to compete in triathlon events. I just want to mention I am just new to weblog and seriously liked your web blog. Probably I’m likely to bookmark your blog . You absolutely come with exceptional articles. Bless you for sharing your web site.